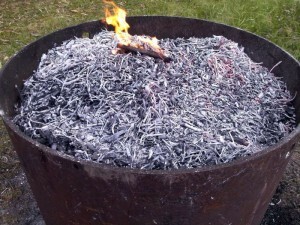 biochar project kunghur is a free biochar related website. Biochar project kunghur is a community based information resource focused on low-tech, grassroots production of Biochar & understanding it’s effects on the ecosystem. We believe this is an incredibly useful practice for anyone who is involved in waste resource management, agriculture, ecosystem regeneration & caring for the planet in general. Biochar can help our ecosystem immensely when we understand the spectrum of it’s uses. From capturing methane as it leaves the soil to providing homes and holding food for the thousands of micro-organisms & plants in our soil. This is an important tool for anyone who is nature oriented and understands we must look after the earth we live on. Everyone is encouraged to share their ideas, DIY technology, questions & comments. Our website will be updated to include any beneficial information which is shared with us. Use the search box (Above right) to find exactly what you are looking for. To dive right in to Biochar come and visit Biochar project kunghur for one of our many hands on education classes. Use our search box on the right. HOPE would like to promote Biochar Project Australia in the edition of our e:news bulletin service. If you are interested, please submit an overview article (i.e. agencies main focus, planned projects, campaigns, events, etc.) (<500 words) to office@hopeaustralia.org.au at your earliest convenience. Deadline for articles is 15th of the month. We would also welcome a website summary for our site. i m really intersted in biochar.Nowadays it s the green revolution of our world.if i find any theme about biochar i want to work as in my PhD . It’s Yuzo and Mamiko (and Kako) we met at going away party under the stars fire for Angelina in Uki couple of weeks ago (or maybe more). We have been bit busy on every Saturdays and haven’t had one sat to come see you so we have been thinking of you. Hope you are both well. We have a owner for this house we rent in stokers siding who seems to want have this property chemical free and good for wild life but he sometimes seems to use sprays and is asking now it he can manage the weed in the yard we are living on by spraying and we so asked him we don’t feel comfortable unless we know what exactly will be used to spray so the job is being held and we are waiting for more information on what spray. We felt we want to contact you and ask for your information and knowledge about this weed as that would be so useful for us. The weed is white glycine weed and the owner seems to be in fear that this will take over the farm and is also not allowing to be burnt as it has now come too big he says. Do you know a way to manage this in this sort of situation ? Yuzo is researching and interested and thinks maybe this is not even a problematic issue as the owner is on about but we may not have a choice to just ignore their call but just to search for an alternative method to at least have them under control or manage them this time without definitely no chemical at least so they can’t spray it for us. Our number is 0422510255 or 66779534 and we hope we hear from you soon and looking forward to what you may know about this! For the last couple of years I had been experimenting with many different ways of charing the olive tree waste from a property we manage in the Adelaide Hills, I only discovered your video Avachar a couple of weeks ago, and wanted to say many thanks — it’s excellent. I have then accumulated several large piles of experimental biochar with no real idea of what to do with it, when suddenly our old donkey died, the neighbours Bobcat is bogged in his paddock and the thought of manually digging a donkey sized hole in wet clay is looming — and a light comes on — just bury her in a pile of biochar. Which we did, two ute loads full. So it now appears we have inadvertently started an interesting experiment on composting a donkey, as Caramella kicked the bucket along side my wifes vege garden and at 300 kgs she’s staying there. Not that I’m supposing that any one else has had the chance to compost there beloved donkey, but if any one has any suggestions as to what we could do next, apart from just letting nature do her thing underneath a blanket of biochar ? Oh what a sensational way to go. 🙂 I Love donkeys a friend has 3 they live till 70 years or so. I would get some wood vinegar and dilute it 100 : 1 and spray the pile this will speed up decomposition. with the essence of Donkey. I think this is a wonderful story and would like to share it. If you find some time could you write up the story with pictures before and after and I will add it to Biochar project. Will do — we were thinking an avocado tree; but she’s in the wrong spot!, but I’m keen to see at any rate, if this a viable option; other than a big hole in the ground. One suprising find — the fox found her within two days and dug down for a bite. I’d thought the char would mask any decomposing , and to our noses it does, we’ll have to wait for warmer Spring weather to really find out. Wow I knew Canine, feline and lupine had keener senses than mere homo sapiens. That just goes to show without a doubt biochar does mask it well for mankind. Perhaps erect a small doggy fence as a mark of respect so she can rest in peace. I am currently working on “Effect of Biochar on Nitrogen and Phosphorus leaching and nitrification Mechanism in winter wheat crop and summer maize crop” at Northwest agricultural and forestry university P.R China. I am glad to read about you. i would like to get some intellectual advises from you regarding my research topic for its effectiveness and good results. 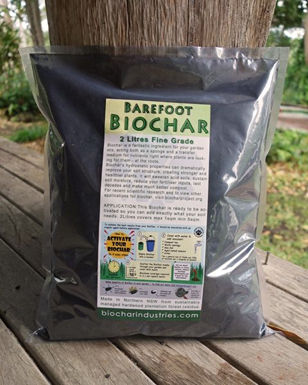 I saw an advertisement for biochar in the last catalog I received from Burpee.It is from Black Owl Premium Organic Biochar and sells for $39.99 for a 1 cubic foot bag. My garden blog has been inactive since 2011. I am activating it today. Yes awesome in USA they have many biochar operators. In Australia we have but few. I hope the price comes down here soon. Awesome to meet you bro! I met ou at HIIC and fell in love with your products. They are all so on point. May I please order 2 boxes of Organic tumeric bars? How can one measure the quantity of carbon in the soil (ground).